In a lecture based on his 2005 book, The New American Militarism: How Americans Are Seduced by War, Andrew Bacevich warns of a dangerous dual obsession that has taken hold of Americans, conservatives and liberals alike. 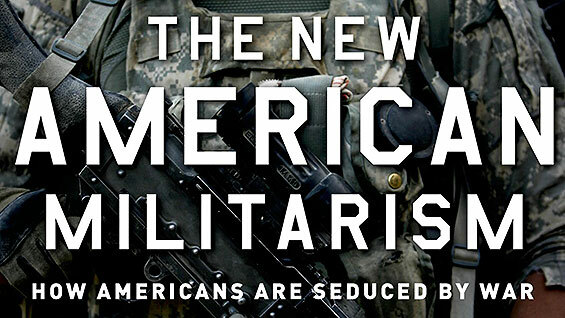 It is a marriage of militarism and utopian ideology--of unprecedented military might wed to a blind faith in the universality of American values. This mindset, the author warns, invites endless war and the ever-deepening militarization of U.S. policy. It promises not to perfect but to pervert American ideals and to accelerate the hollowing out of American democracy. As it alienates others, it will leave the United States increasingly isolated. It will end in bankruptcy, moral as well as economic, and in abject failure. Andrew J. Bacevich is a professor of international relations at Boston University and a retired career officer in the United States Army who served in Vietnam.